Forty-two of the 50 SportsAid athletes on SSE's Next Generation programme had the chance to meet SSE Glasgow 2014 Commonwealth Games Ambassador Sir Chris Hoy at a training and mentoring workshop in Loughborough this week where he advised them to grasp the opportunities SSE is providing and "make the most of them." "I think it's great that SSE are getting behind future champions and not just looking for a quick fix but creating a genuine relationship, following their journey and taking pride in seeing all these young athletes develop right through to 2018, 2020 and beyond," he added. The athletes attended the workshop with their parents or coaches and received expert advice on nutrition, anti-doping, media interviews and how to use social media. They also attended a mentoring session hosted by Olympic silver medallist Leon Taylor with SSE Home Nation Ambassador for Northern Ireland Sally Brown, who competed at the London 2012 Paralympics. Speaking about the early years of his career and the support his parents gave him, Leon said, "They made a lot of sacrifices for me, getting up in the morning to get me to training, paying for everything, they were the cornerstone. When I look at the back of my Olympic medal I see a list of names there and top of that list is my mum and dad, because without their support and guidance along the way it wouldn't have been possible." 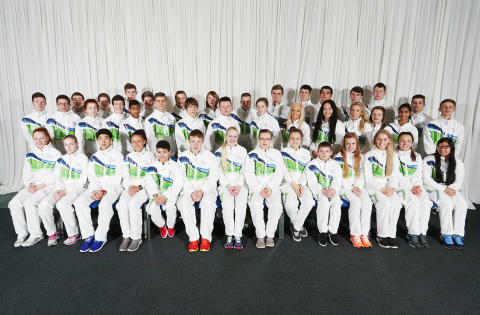 One of the athletes at the SSE Next Generation workshop was 17-year-old judoka Lubjana Piovesana from Sutton Coldfield. She said, "I've really enjoyed it today. It's been great to meet so many athletes from different sports and learn about what they're doing. My favourite session was probably the nutrition workshop as it will help me improve my diet. The financial support also really helps me as it means I can go to the European Cup in Portugal in April and I don't think I would have been able to go otherwise." Wendy Barbour, SSE Director of Glasgow 2014 Commonwealth Games and Sponsorship said "I had the pleasure of spending two days with our SSE Next Generation athletes at the workshop, and it was remarkable. Seeing first hand the difference we are making with SportsAid made me immensely proud of SSE and our company-wide commitment to helping these young inspirational athletes fulfill their ambitions." Over the next four years SSE has committed to support the development of 50 SportsAid athletes on the SSE Next Generation programme. Each athlete will receive funding and mentoring in a bid to help fulfill their full sporting potential and create a living legacy for sport. The commitment underpins SSE's partnership with Glasgow 2014. "It has been really good to see SSE's commitment to SportsAid and the Commonwealth Games," said Geoff Ham who was at the workshop with his son Eric. "As a parent I was very impressed with the whole two days. It is really valuable for Eric and the other athletes." champions. Its patron is Her Royal Highness the Duchess of Cambridge. Britain’s brightest hopes for the future. competing - which they otherwise have to pay for themselves. help at the right time. 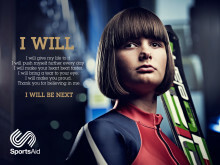 sport, SportsAid also manages the Talented Athlete Scholarship Scheme (TASS). which help them pursue sport and eduction at the same time.